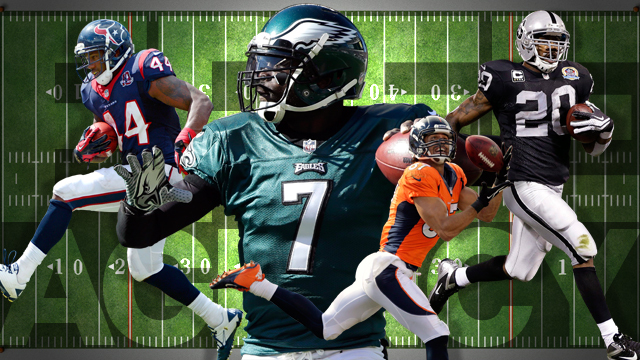 Which NFL Teams Will Be Busiest In The Free Agency? As the NFL free agency prepares to open its doors, all 32 teams in the league are finalising their shopping lists as they look to pick up some excellent deals ahead of the new season. But while every team in the NFL is expected to be busy over the next few weeks before the start of the 2015 campaign, some franchises will definitely be busier than others as they bid to strengthen their line-ups. This can be down to a number of factors, whether it’s due to salary cap space, a need to strengthen their roster, new coaching staff adding their own players or just teams looking to snap up some of the top-quality talent hitting the free market. So, which NFL teams can we expect to be the most active over the next few weeks? The Atlanta Falcons have suffered a fairly dramatic fall from grace over the past couple of years. They have gone from being the NFC’s number-one seed in 2010 and 2012, during a run in which they reached the playoffs four years out of five, to winning a combined 10 games in two full regular seasons. General manager Thomas Dimitroff and new head coach Dan Quinn know they have plenty of work to do before the start of the campaign, especially in terms of the Falcons’ struggling defense. The Falcons still have decisions to make over a number of defensive players, most notably defensive ends Kroy Biermann and Osi Umenyiora, defensive tackle Corey Peters and linebacker Sean Weatherspoon, although there is a strong chance Atlanta will allow all four to leave in order to freshen things up. Last season, the Falcons spent significant money in order to sign defensive lineman Tyson Jackson and defensive tackle Paul Soliai, and it’s fair to say neither player really lived up to the hype. With around $33million available to them, the Falcons have plenty of options open and there could be some big players heading to Atlanta before the new season. As well as the arrivals of new head coach Rex Ryan and offensive coordinator Greg Roman, the Bills have been one of the most active NFL teams since the end of the season in terms of player recruitment. The most high-profile Bills trade this offseason has been the signing of three-time Pro Bowl running back LeSean McCoy and experienced quarterback Matt Cassel. Being without a first-round pick at this year’s draft has certainly played a role in the Bills’ offseason activity and the signing of McCoy has shown the calibre of players Buffalo are targeting. As well as looking at the free agency, the Bills are also expected to attempt to agree new deals with defensive duo Jerry Hughes and Da’Norris Searcy. On the back of a season in which the franchise ranked fourth in the NFL for fewest yards allowed, as well as racking up a league-high 54 sacks, it is no surprise the Bills are looking to keep as much of their defense together as possible. In terms of offense, the arrivals of McCoy and Cassel show just how seriously Buffalo are taking this season and the Bills are expected to be in the mix when it comes to the top talent in the free agency. While the Bills will start the season priced at around 40/1 with betfair and other bookmakers to win the Super Bowl, a busy few weeks between now and the start of the season could see those odds shorten significantly. While the Jacksonville Jaguars have more salary cap room than any other team in the league, which is not to say general manager David Caldwell will be throwing silly money around in order to bolster his roster. 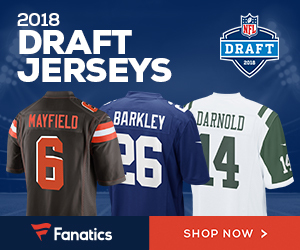 After finishing bottom of the NFL ladder in 2013 and again in 2014, it is going to take some smart shopping for the Jaguars to have any chance of competing with their AFC South rivals this year. Last season saw Jacksonville add a host of attacking talent to their team in the shape of quarterback Blake Bortles, wide receivers Marqise Lee, Allen Robinson and Allen Hurns, as well as guard Brandon Linder. But the passing attack could only muster 15 touchdowns all season, with six of those coming from Hurns, and the Jaguars will be under no illusions that they need to add some experience to their youthful offensive talent if this season is going to be any better than 2013 and 2014. The franchise conceded a remarkable 71 sacks throughout the 2014 season, with rookie QB Bortles’ lack of experience costing the franchise on a number of occasions. But the young signal caller showed enough to convince the Jaguars that he is worth sticking with this season, with the focus expected to be on adding some more experience to their youthful wide receiver corps. That could be even more of the case should the Jaguars opt against re-signing Cecil Shorts and allow the wide receiver to join the free agency. 2 Comments on "Which NFL Teams Will Be Busiest In The Free Agency?" I feel that with Free Agency trumping the Draft this Spring, we would have been better off with 8 True Expansion Teams. And, on top of that, Goodell’s NFL has gotten to a point where results are just rumors and if this era of pros was no better off all due to 2010 and Tom Brady having to lose in divorce court if that came, and Coaching Quality or even new or better coaching and letting Defense do what its supposed to do has to be.